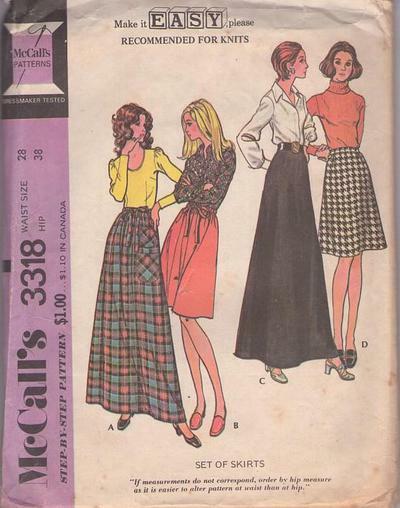 1972, 70s Beginners, Retro Knits Clothing Patterns - Skirts A, B with elastic in waist casing have self fabric ties; A has lined patch pockets. Skirts C D with back zipper may have purchased belt. Simple yet classic! CONDITION: This Original Vintage Sewing Pattern was ct & used. All pieces appear to be complete and intact and have been neatly refolded with the original instructions.